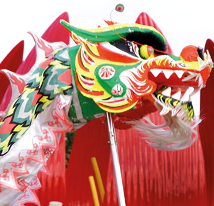 Choi Loong, Bendigo’s favourite dancing dragon, will breathe magic into I Will Week Family Fun Day celebrations in Bendigo on Saturday 28 June with a special performance at 12 noon. Bendigo locals will also be the first in Victoria to pledge their personal legacy on a special tree at the family day ahead of I Will Week which begins on 30 June. During I Will Week, State Trustees is encouraging Victorians to think about their legacy, large or small, and commit to actioning their personal legacy over the week and sharing it with their family, friends and loved ones. The best legacy tree pledge from the Bendigo family day will receive a Will appointment for two. There will also be plenty of activities for the whole family, including face painting, a colouring competition, sausage sizzle and plenty of spot prizes throughout the day. Leading Will writers from State Trustees will also be on hand to discuss your Will needs.